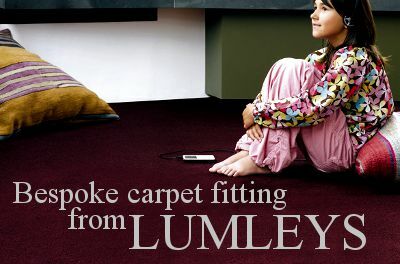 Lumleys Carpet & Flooring Specialists, Buckhurst Hill, Essex. Not many of us expect to change our carpets every five minutes. A Carpet is a major investment and we want something which will give good service for many years to come, which is why a call at Lumleys is a MUST if you are thinking of a new floor covering. It's not just carpets you'll find at Lumleys, Pat and Paul Lumley stock or can provide every kind of floor covering from carpets to tough vinyl coverings for kitchens and other working areas, parquet flooring, carpet tiles and fashionable coir and sisal matting in the latest designs. Between them, Pat and Paul Lumley have more than 50 years of experience of floor coverings and there's nothing that they won't be able to handle. What is more, they personally deal with orders from the moment a customer first walks into the shop, to the laying of the new covering and are only happy when a customer is satisfied. With so much to offer, can you afford not to visit Lumleys next time you are considering a new carpet or other floor covering?